Answer the following questions based on " Green days by the River". 1. Name Mr Girdharee’s dogs. Compare and contrast two different settings presented in the story. Trace Shell's development from the moment he came to Mayaro to live to the schoo dance. Shell is merely fifteen years when he quits school and starts to work. Soon he is faced with lifechanging choices. What lesson is Michael Anthony imparting to you, the reader? Select ONE of the topics and answer the question in no less than four paragraphs-no less than 250 words. 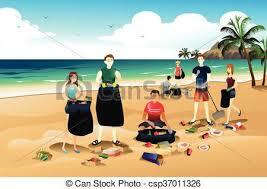 Write a letter to a friend describing a clean-up day at the beach. “Whenever I recall the experience, a chill runs through my body.” Write a story which contains this sentence. You are in a house by the sea. Describe what it looks like. Your family is on holiday-How many of you are there? What time of the year is it? Suddenly dark clouds, bleak atmosphere, high winds and thundering noises. Write a story on what happened that day.